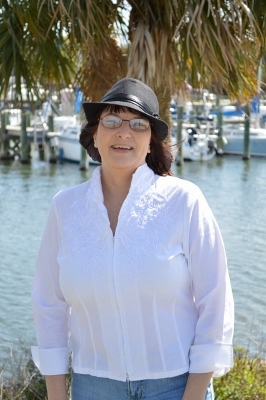 Today, it’s my honor to have romance author Fay Lamb on my blog. After the interview, you will learn more about Fay and her novel Stalking Willow. You may also connect with her through Facebook and Twitter. If you leave a comment, you may also have a chance to win a copy of her book—an eBook or a print book, your choice. The winner will be announced on June 1st. Dicky: Fay, thank you for granting me this great opportunity to interview you. A question has been at the back of my mind for quite some time. You have your own family, work as an editor, write novels, and have three critique groups. How do you balance your life among all these activities? Fay: The truth is, I have a very understanding husband. For example, I’m in North Carolina getting several projects completed while my husband, Marc, stays at home in Florida and continues to support my career. With editing, writing, critiquing, and other jobs, I “work around.” I cannot focus on one project at a time unless I desperately feel I have to do so in order to get to a breakthrough spot in the project. So, I break each project into bite-size portions and tackle them in fifteen or twenty-minute time periods. By the end of the day, I have worked toward resolution of four or five projects. Dicky: This question is related to the first one. Your three critique groups consist of fourteen members. How do you allot your time to critique their manuscripts? Fay: My critique partners are my friends. What I have learned from each of them has garnered me publication. There are three reasons, I will always work critiques into my schedule: 1) I love my friends, and I pray that anything I have to offer will contribute to their success; 2) My critique partners are not shy about telling me the truth even when I don’t want to hear it; and 3) Without my critique partners, this writing life would be a lonely place. Dicky: You work for Pelican Book Group in dual roles as an acquisition editor and a copy editor. In each role, would you share what you are looking for in a manuscript? Fay: As an acquisition editor, I first look at the elements of story. Does the story grab and keep my attention? Is there a pure point of view (POV)? Does the author show rather than tell? Is there conflict, and if there is conflict is there enough to sustain the story? Does the dialogue ring true? Are the main characters strong? Are the secondary characters interesting without overshadowing the characters they are supposed to support? If those elements are in order, it doesn’t take too much to straighten out the minor mechanics such as spelling, grammar, and punctuation. However, I’d like to caution readers that overlooking these mechanics in a manuscript can cause an editor’s focus to stray. Writers who gain an understanding of spelling, grammar, and punctuation, have an advantage. I can’t speak for every editor but for me, when a writer exhibits an overall knowledge of the minor mechanics it tells me the author cares about what he or she is producing. Writing is a creative endeavor such as painting a landscape or playing a difficult piece of music. Why should an author’s craft not be perfected any more than an artist who paints, sings, or plays an instrument? As far as copy editing, the acquisition editor has already gotten the manuscript into great shape. My job is to review it for the minor mechanics, a possible tear in the plotline, or any small details that might have been overlooked. Dicky: You have two four-book series: The Ties that Bind and Amazing Grace. 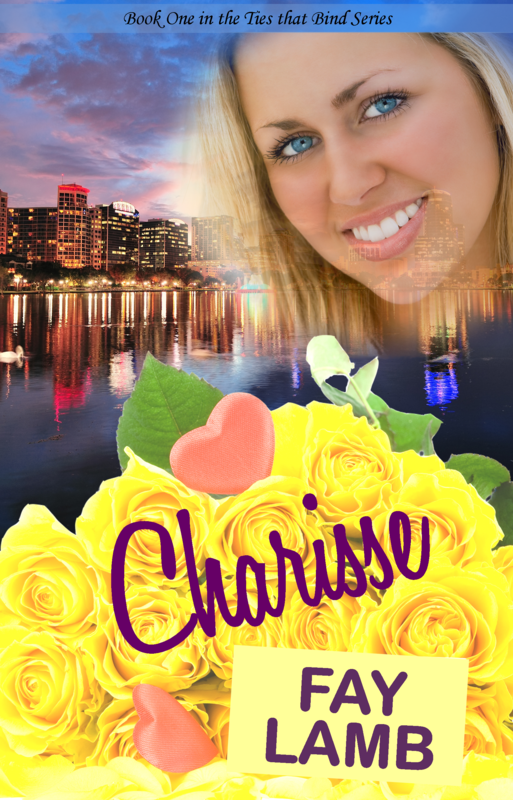 Charisse, which will be released in July 2013, is a contemporary romance in the first series. I remember you submitted a few chapters to ACFW’s main critique loop, Scribes. I read those submissions and was totally amazed by your profound writing. The story unfolded before my eyes like a Hollywood movie. How did you achieve that kind of writing techniques? Fay: Thank you, Dicky. The fact that you see the book as a movie is the best type of compliment I can get because it means that the visions in my head have been relayed through the pages for the reader. How do I achieve that technique? If I am able to achieve this goal, it is because I have practiced the technique since childhood. I was, for the most part, an only child. My sister is much older than me, so I had to entertain myself. I started as far back as I can remember seeing a “movie” in my head as I told myself stories. I believe that from the time I first picked up a pencil and put letters together into sentence, I did the same with the written word. So, when I’m writing, it’s like a movie or a play going on inside my head. I see everything unfold in each scene. I’m both on the stage and in the audience. I’m both actor and director. I become the point-of-view character, and I try to only show the story from that character’s point of view (POV). But still, the actor has to look to the director. So, sitting in the front row, the director part of me is looking for problems with the character’s focus, seeking prop devices that should be included in the setting, directing the actions of the other characters on stage, and changing the dialogue to make it fit the character and the scene. Dicky: Stalking Willow in the Amazing Grace series was released in May 2013. The opening sentence in this romantic suspense immediately pulled me into the mind of the heroine. How do you usually come up with such a gripping opening? What inspires you? Fay: With Willow, it wasn’t hard to come up with that opening line. The problem was, I had it where it shouldn’t be. I owe that line’s placement to my wonderful critique partners. Almost all of them told me it was in the wrong place. With each story, I look at the genre, and I try to think of a line for each one that will grip that type of reader. With suspense, you want to grab the writer with a suspenseful line or one that promises suspense. With contemporary romance, I might try to grab the reader with an opening line, but sometimes it’s the paragraph that sets the mood that works best. My inspiration comes from a desire to do my utmost with the talent God has placed into my hand. The talent was raw. God gave me the tools to shine it up, and with each word written, and by His grace, I intend to produce a story that glorifies Him. God reminds me when I read His word that everything I do, I should do unto Him. I try my best to use everything He has blessed me with to bless others. Dicky: For those series, some of the books have not been completed yet. Are you planning to finish one at a time and then move onto the next? Fay: You asked me before how I manage all my projects. The answer to this question is the same as that one. I “work around.” I’m very fortunate that God delayed publication because while I was waiting on Him, I was writing. Four out of the eight books currently contracted are finished. My next deadline is January 2014, and other than one last read through and edit, that book is completed—at least until my editor sends me her edits. The next four books are in various stages of completion. I have ideas of each story firmly planted in my brain, and I will “work around” until I get to the point where I feel I’m at the final draft. Then I’ll submit them to my critique partners for their trustworthy and wise opinions. They haven’t failed me yet. Dicky: For all your novels, do you usually create character charts to determine their goals, motivations, and conflicts? Fay: No. If I had to force myself to do any of those things, I’d never get a book written. The reason I have so many stories in various stages of completion is because when the characters inside my head begin to have a deep enough conflict that I have a beginning, middle, and end, I write them out. Now, the plot may change. Other characters might develop, but that is my joy in writing—the surprise. When I’m surprised, I can surprise my reader. On occasion, if I get stuck, I might use one of two techniques. One is the LOCK system that James Scott Bell teaches. I’ll type out scenes on a 3×5 card, which tell me for each scene I’m struggling with: 1) the LEAD character’s opening action; 2) that character’s OBJECTIVE in that scene that will help the lead character meet the overall OBJECTIVE of the novel; 3) the CONFLICT that character meets that prevents him or her from reaching that objective; and 4) a KICKER ENDING to that scene (whether it’s pulled through the entire scene or just a powerful and surprising emotional or physical ending). Another technique I use if I’m struggling with the character’s motivation or with portraying the right emotion is to write a journal entry as that character and have him or her describe what they are feeling about what has happened to them. When I do this, I usually find that the reason I’ve not been able to portray the motivation is that the emotion the character should have is an emotion I’m struggling to deal with. When I become the character, the emotions usually work loose, and then I understand myself and can better understand my character. Dicky: I have learned that your novel Better than Revenge, which will be released in September 2013, is being made into a script. Would you share with us more about this project? Once the project has been completed, through what channels will it be marketed? Fay: I am so excited about two things: First, the fact that this book which was formerly published with a different title until my previous publisher closed its doors, has been picked up by my new publisher for my third release of the summer. Also, working with actor/director/producer/screenwriter, Tony Denman, is such a blessing to me. This young man is crazier than me (which says a lot). He reminds me so much of my two sons, and that’s a plus. He’s young and energetic, and he has a vision for the story. He is currently working on the first draft of the screenplay. When that is complete, we’ll work on the edits together. Tony and I have discussed the various routes we can take to either co-produce the story or to pitch it to interested parties. We’re taking it one stage at a time. We know that God is in control. If He wasn’t, there is no way that Tony, and I would be working together on this project. I believe that if we are faithful to move forward, God’s timing will be perfect, and I’ll keep you advised of any further developments. Dicky: Fay, thank you so very much for your time. Fay: Dicky, you have been a blessing to me in my writing career. I think that you might be one of my biggest fans, and you have always been gracious to extend to me invitations to market and to share. I appreciate you and your friendship very much. Fay Lamb is an acquisition editor for Pelican Book Group. She also provides freelance fiction edits. Her emotionally charged stories remind the reader that God is always in the details. Fay has recently contracted with Write Integrity Press for two four-book series. Stalking Willow, the first in the Amazing Grace romantic suspense series is currently available for purchase, and Charisse, the first release in her The Ties That Bind contemporary romance series will be available in July, 2013. The second story in the Amazing Grace series, Better than Revenge, is set for release in September 2013. Fay is a past-secretary for American Christian Fiction Writers. She served for four years as the moderator for ACFW’s critique group, Scribes. For her volunteer efforts for ACFW, she received the Service Members Award in 2010. She was also a semi-finalist that year in the ACFW Genesis Contest. Fay and her husband, Marc, reside in Titusville, Florida, where multi-generations of their families have lived. The legacy continues with their two married sons and five grandchildren (with the sixth on the way). This entry was posted on Saturday, May 25th, 2013 at 8:11 am and is filed under Author Interview, Book Review, Friends. You can follow any responses to this entry through the RSS 2.0 feed. Both comments and pings are currently closed. Hi, Fay! I enjoyed reading about your writing techniques. Thank you, Heidi. And I just enjoyed your book trailer for your June release of Dog Tags. Awesome! I haven’t had the privilege of reading any of your books yet. 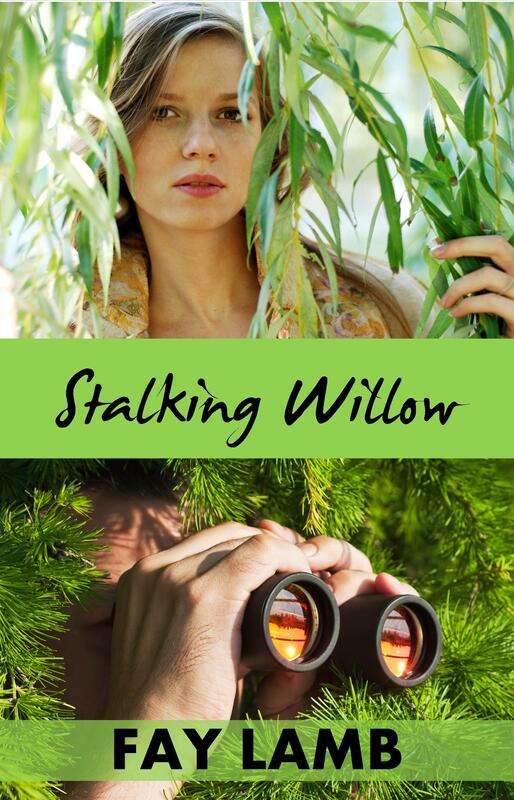 Stalking Willow looks great. Thanks for this opportunity. Fay and I go waaay back when we first met in an online critique group. We were crit partners for a long time. That led to my flying down to Florida and stay with her and Marc at their home in Titusville. We attended the Florida Christian Writers Conference while I was there and there are so many memories from the visit that I will never forget. It does my heart good to see how her writing career has evolved and grown from not only being a published author but an editor as well! I enjoyed reading her interview with you, Dicky. Pam, thank you for visiting my blog. Pam: Likewise, I’m enjoying watching your career take off, and I find it amazing that after *hand covering mouth* so many years, we are still traveling this road together. What an insightful interview. I really enjoyed hearing how you get it all done! This interview taught me a great deal about the process of fiction writing. Fay is amazing! Talk about being able to juggle lots of balls! She makes it look so easy, but it’s really hard work, and she does it well. Best wishes to you, Fay, on this new project as well as the others in your pipeline.! Thank you for visiting, Gail. Gail: Thank you so much. I can’t wait to see you–probably in August for the Word Weavers workshop. I’m looking forward to it. Fay, you amaze me. I knew you were some how super-human … hm … thinking I need to find a new nickname for you. One that appropriately conveys your amazing awesomeness… Will get back to you on that. 😉 Anyway, as I said, I knew you were uberly amazing when I tried, unsuccessfully, to copy your brilliance in running a critique group. I failed miserably, and my group is but a fraction of Scribes. And I love, love, love your writing! Thanks for your nice note for Fay, Jennifer. Hi Faye! Love your writing style and your interview! And thanks for the opportunity! Thank you for visiting my blog, Joi. Thank you so much, Joi. Dicky: Thank you for the interview and letting me share with your readers. You are much appreciated, my friend. Thank you, Jeanne. You are always there to inspire me. It was a pleasure getting to know you and your books, Fay. Thanks for your writing insight. Thanks for stopping by, Candice. A script? Really? Sweet! I hope that all works out for you, Fay. Thanks for visiting my blog, Pegg. Thank you so much, Pegg. Thanks for sharing such an insightful interview, Dicky. I like the questions you asked. Very thorough. Fay, what great advice and wisdom here! I don’t do character charts or plotting either. My characters lead me through the story. I will remember your tips for getting through tough scenes because sometimes I hit a wall, also. I enjoyed the time we were on ACFW loop together and the feedback you gave me, as well as reading some of your manuscripts. I’ve learned a lot from you. Thank you for stopping by, Laura. Laura: Thank you for your sweet encouragement. I’m working my way back to the Scribes loop. I’m still a member. Don’t give up on me. A great and inspiring interview and amazing to learn so much of Fay’s approach to writing, editing and supporting others. Excellent post, thank you, Dicky! Thanks for your note, Susan. I wish I had a chance to visit your blog sooner! I really enjoyed reading about this interview with Fay. I loved the steps mentioned towards creating a book. I pray that I can apply some of this wisdom in my process of writing. Thank you so much for sharing this with all of us. I look forward to following more of what God is doing with Fay and her books! May you continue to pursue your God-given dreams and use your gifts to glorify Him! Thank you so much, Danielle.